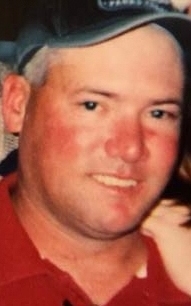 ABILENE: Rodney Brian Roberson, 44, died Thursday, June 25, 2015, at Hendrick Hospice. A graveside service will be held Sunday, June 28, 2015 at 3:00p.m. in Dewey Cemetery, Lawn, officiated by Kenneth Jordan, directed by Fry~Smith Funeral Home, Tuscola. A visitation will take place at 1:00 p.m. on Sunday, at the funeral home, prior to the graveside service. 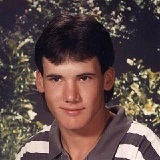 Brian was born on September 15, 1970 in Abilene to Ronald and Rita (Zimmerle) Roberson. He grew up in Southern Taylor County attending Jim Ned Schools and graduating from Jim Ned High School in 1989. He was a lifelong member of Lawn Baptist church, and was baptized at the age of 14. Brian worked on the family farm and ranch, where he was irreplaceable when it came to cattle work with his father. He also worked as a painter, painting the inside and outside of houses, his talent shined when it came to cabinets. His work brought out the beauty of the wood grain and highlighted the angles of the trim work. His talent would bring new warmth to an old house and make a new house shine with detail. He took great pride in his work. Family and friends played an important role to him. Brian loved and enjoyed family gatherings and once he was a friend, he was then a loyal friend for life. The outdoors provided great enjoyment for Brian, he loved to fish and hunt with a bow. He was an excellent shot with the bow, hardly ever missing his target. He is survived by his parents; Ronald and Rita Roberson of Lawn; grandmother, Fae Ola Zimmerle of Lawn; brother, Kenneth Roberson and wife Teri Ann of Tuscola; sister, Kimberly York and husband Cody of Veri Best; nieces, Reagan and Kaci; and one nephew, Nixon. In lieu of flowers donations may be sent to Hendrick Hospice Care 1682 Hickory St. Abilene, Texas 79601.